Posted in Teacher education and development on December 15, 2016 by British Council India. Next in our #ELTHeroes series, we’re talking to Tessa Woodward – Tessa was a teacher, teacher trainer, and the Professional Development Co-ordinator at Hilderstone College, Broadstairs, Kent, UK until August 2016. She edits The Teacher Trainerjournal for Pilgrims, Canterbury, UK. She is a Past President and International Ambassador of IATEFL and founded the IATEFL Special Interest Group for Teacher Trainers (now the SIG T Ed/TT). 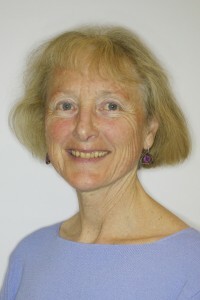 She is the author of many books and articles for language teachers and for teacher trainers. Her latest book, with Seth Lindstromberg, ‘Something to Say’, (2014, Helbling Languages) was short-listed for an English Speaking Union prize. Tessa is also the founder of The Fair List. 1. Tell us a little bit about your career in ELT. I did a lot of other things before ELT. I did not always think, ’Oh I want to be a teacher!’ I didn’t like school very much until the last two years! So, as I set off learning and earning, I did some restaurant and hotel work, some farm help, worked in the National Union of Students, in the Martin Luther King Foundation. Then, loving English and the idea of meeting people from different countries, I retrained as an EFL teacher for adult learners. Adults because I wanted to work with people who had chosen to be in the classroom and who could leave it at any moment if they didn’t like what was going on! I then got a grounding for two years in a language school in London with wonderful colleagues. I wanted to feel I knew roughly what I was doing before venturing off to try to be of use to language learners in other countries. At that stage, I imagined I would be a teacher for just a few years! Many years later, I had taught in Japan and Switzerland. I had got the chance to be an in-service teacher trainer at a company in Japan and had, very deliberately, stayed language teaching at the same time. Then I worked on Certificate and Diploma courses. I started to do workshops, conference presentations and modules on university MA courses. I had had no idea, when I started that such things would become possible! I branched out into writing and editing, while still always keeping my feet firmly in the language and teacher training classrooms. I now find, much to my surprise, that, some decades later, I seem to have had a career in ELT! I have been editing The Teacher Trainer Journal for thirty years and teaching and training for much longer than that! So, in retrospect, I can see I have had a career in TEFL. I certainly didn’t expect to have one! 2. What advice do you have for teachers when they’re developing their skills and knowledge in the professional practice ‘Taking responsibility for professional development’? I like the advice that Manisha Dak gave in the video for this week on the British Council Teach English in India Facebook page – ’Look inside, look outside and then look inside again!’ Very neat! I also totally agree with all the things that Silvana Richardson said in her interview about working on the English language. This is just as important for those who have English as a first language as for first language speakers of other languages! It was nice to read Debbie Candy’s interview too . Her thoughts on experimenting with different resources are great! So, to avoid repetition of points made by Manisha, Silvana and Debbie, I will look at another aspect! We may well be in the classroom for a long time, for years! Possibly, when we turn around and realise it, for decades! So, we need to take responsibility for keeping our own strength and stamina up, retaining a sense of humour, and thinking how we are going to keep interested in our work over time. The basics are that we need to eat and sleep well and get some exercise. Taking care of ourselves, including our voices, is important. It gives us a solid basis from which to spend our energy with our learners. If we are not strong we cannot be useful to our colleagues and learners. Having interests outside school can be very helpful too. Without doubt, whatever these interests are…whether singing, making things, watching films and/or doing sports. They will feed into our work somehow and also keep our spirits up during the hard times. For example, being in a choir strengthens our breathing and voice muscles, enjoying motor racing gives us a feel for fast pace and zip, enjoying films and literature makes us aware of story arcs for texts. We also need to remember that we can’t learn everything immediately. We can’t be good at everything or can’t be the right teacher for absolutely every one of our students. Some parts of our work may come naturally to us but other parts take effort over time before they improve. We cannot be perfect any more than our students can. This kind of compassion for ourselves, and for our students who are struggling to learn English, is important in my view. 3. What simple things can teachers do in their day-to-day routine to help them with their professional development? I think it is useful to break down our day-to-day work into separate tasks such as: attracting students’ attention, calling the register, presenting new words, checking comprehension, setting a task, grouping students, monitoring pair work, correcting homework and so on. You will think of a million other tasks to list, tasks we do every day. Next, we can call to mind how many ways we know of doing a task. We can then set ourselves the task of learning one new way to do that task every few months. For example, let’s say that we usually attract our students’ attention by clapping our hands and saying loudly, ‘Listen everybody!’ Fine! (Although with big classes that could strain the voice a bit and drain the energy!) But it’s fine. We can however do it a different way for a while. We can raise our hand and teach students to stop talking and raise their hands too as soon as they see our or a class mate’s hand go up. When there is a forest of hands up usually most ‘late-noticers’ will eventually stop talking too. Once we and the students have learned this method, we can mix it up with our first method and then add a third, say tapping on the board with a board pen or ringing a little pleasant sounding hand bell. Gradually we work on picking up new ways of doing each of our many day-to-day tasks. We can pick up these new ways by asking colleagues what they do, by peer observation, from teacher resource books and web sites, from watching teachers in classes where we are the learners and so on. By adding little new ways of carrying out our tasks, we don’t get bored. We gather a full repertoire of options to use. We have both routine and change and development. And our students get some variety too as we gain more ways of working. Once we have a good set of options for our many tasks, it will draw us into thinking about why this or that way of working seems to work better in this or that situation. Hey Presto! We have become thoughtful methodologists! 4. What three top things should teachers keep in mind while making a professional development plan for themselves? Be realistic. ….about the time, energy and resources we have available. Don’t commit, in a moment of wild enthusiasm, to a rash, complete change of all manner of aspects of our work. Better to start small and simple and see how it goes. We can always scale up later if things are working well. Be creative. What do we love about life? Music? Dance? Fun? Poetry? Jokes? Watching films? Horse racing? Being outside? What job would you like to be doing if you weren’t a teacher? An artist? A vet? An accountant? What aspect of any of those likes and loves can we sneak into our work as a teacher? Share our plans. Talk things over with sympathetic colleagues, family, friends and mentors. We can let people know we are on the move in term of our professional interests. that we are up for change and development. At the very least we will have interesting conversations as a result. But we might get some new ideas or even some people to try out new things with. As Debby suggested, collaborating is good! Don’t forget the learners. Sorry…I have four things! Don’t forget that although we are concentrating on ourselves, quite rightly, for a while as we plan our PD, the other half of the same coin is always, always, always to understand our colleagues and learners and help them in their efforts to achieve. 5. What useful resources/links would you suggest that teachers can read/access to help them understand how to go about their own professional development? If you are an online type of person, I honestly think the British Council website is great! If you are more of a paper person, then try Sylvia Ashton-Warner’s book ‘Teacher’. This book rekindles the fire of experimentation and the vibrant desire to find ways to help learners. That fire is a key to a PD motivation. Perhaps the British Council could get permission to use extracts on their site for reading and discussion? 6. If you had to choose one CPD activity that you found most useful for your own CPD, what would it be and why? You take a nice big piece of paper and turn it horizontally or landscape. Then you sketch a professional life line from left to right across the paper. Perhaps the line starts low down, if you feel you didn’t know too much when you started. It might go up, like a side of a mountain, if you had a high point, and down into a dip when you had a low point. You can also show a plateau with a flat line and muddled sections of your career with spirals and doodles. Then you add words or labels to explain the different points. For example, you might write ‘Horrible boss!’ next to a low point or ‘Class all passed exam’ next to a high point. You can decide how to subdivide the timeline for yourself: maybe bracket some years together with a light line, maybe show different teaching contexts in different colours, or mark focal concerns with stars or asterisks…whatever you fancy! You end up with a sort of line graph, annotated with words and symbols. Towards the right-hand side of the page your line approaches your present. Does your line start to lift upwards as you feel positive about the future in the job? Or does it plateau or even drop as you feel a bit stuck or depressed in your work? Turn the paper over and draw the future line as you would like to see it and note down what you think you will have to do to ensure that the line eventually represents what you want it to. If you are a starter teacher or just in your first few years of teaching, then your professional graph may only take up part of a page. It is still useful to consider how the work has gone so far. How are you doing your best teacher learning? From watching colleagues at work? Reading (like Silvana)? Making and trying out new resources (like Debbie)? Going to conferences? Taking courses? Keeping a diary of critical incidents in your lessons and then looking back at the diary after a while to see if you can spot any patterns? Whichever way you choose to use this Professional Development Graph idea, it is good fun to do this with a colleague or friend, to share your professional line graphs and to realise how far you have come, and how far you could go in this wonderful profession! Who knows, when you get to my age, you might turn around and realise that you have had a long career in ELT! I hope you enjoy your work!